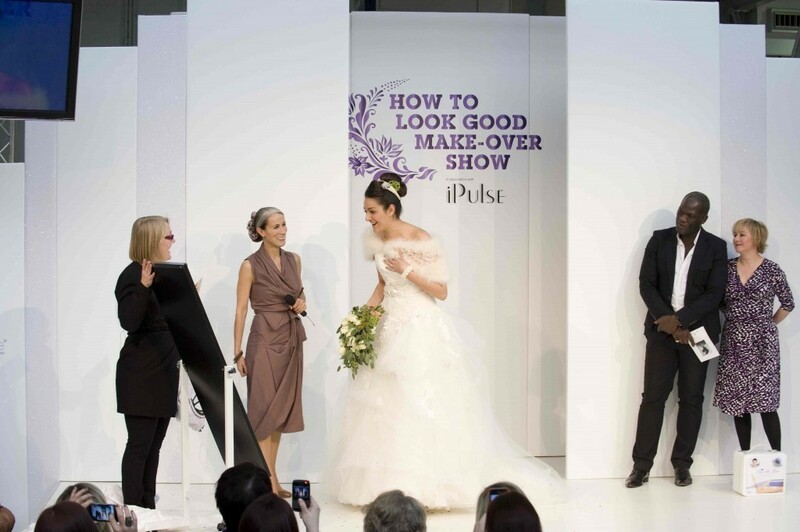 NATIONAL WEDDING SHOW AT EARLS COURT, N.E.C. OLYMPIA FOR 10 YEARS FROM 2002 – 2012, 3 DAY EVENTS 4 TIMES EACH YEAR. WE ARE SPECIALISTS IN AUDIENCE INTERACTIVE MAKE-OVERS. 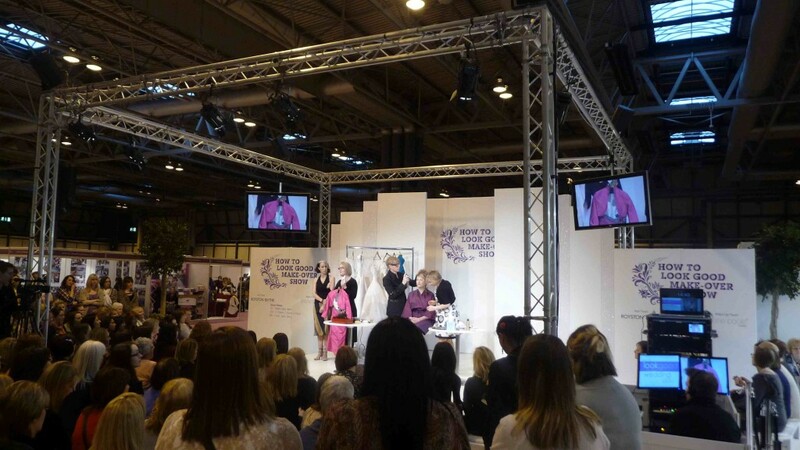 We work to packed audiences to give as many styling tips in a short space of time as we can. 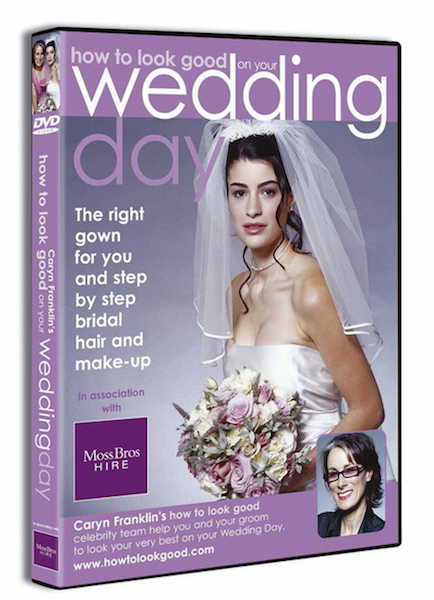 Brilliant Productions have been working with National Wedding Show for 15 years. 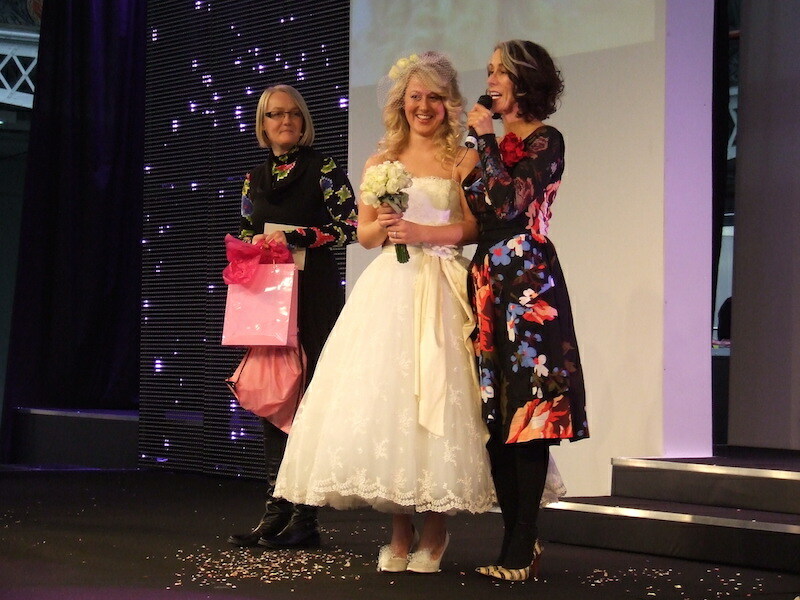 And we are more than qualified…We have done 13 ‘Brides of the Year,’ when we produced and presented the BBC’s Clothes Show and then the 3 ‘GMTV Interactive Brides,’ we did for 3 years in a row, not to mention the scores of brides we have made over in working with the National Wedding Show for all this time. 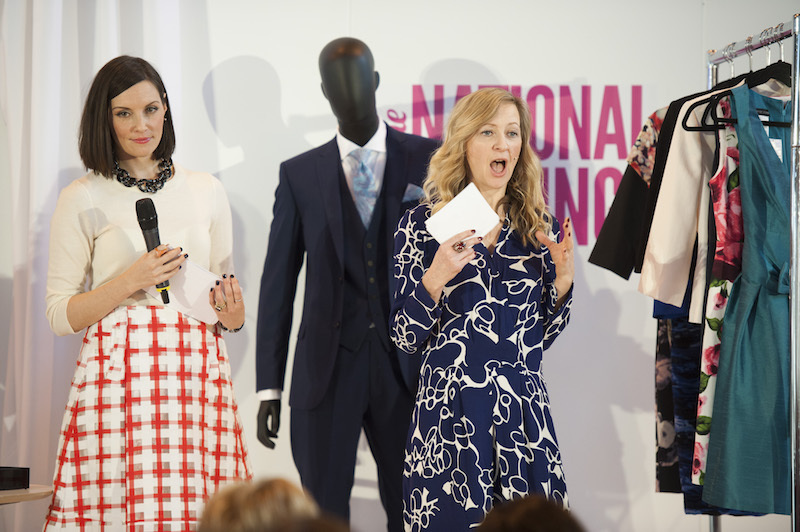 Caryn hosted for 10 years before bringing on new talent including Cat Byrne and Nina Blakemore. Jane Galpin continues to produce the show, calling upon top talents such as Make-up artist Ariane Poole, Hairdresser Errol Douglas and Nick Malenko. London Fashion week stylist Claire Ginzler has also worked with us for 15 years to deliver a credible and stylish show. Long may it last. The Glam Squad, Original Presenter Caryn Franklin, Ariane Poole and Nick Malenko speed through. Always an excited reaction, sometimes there are tears at the mirror…and that’s just us! Mother of the Bride gets attention too!